Average Draft Position is important to remember when you enter your fantasy basketball drafts this month. If you do you homework, you will know which players are being undervalued and who is being overvalued, as well as the same for certain positions. *I made slight adjustments to the order so that each team filled in all its starters (PG, SG, G, SG, SF, PF, F, C, UTIL, UTIL) before adding bench players. Kevin Durant's injury pushes him down from 1st overall in the Yahoo ADP Mock, to 6th overall in ESPN. Could be a steal, could also ruin this guys season, only time will tell. I for one will not be drafting him, unless I have one of the last 2 picks in the 1st round and he is still available. Team 10 (Lillard/Cousins), Team 8 (Westbrook/Jefferson) and Team 4 (Paul/Nowitzki) were the only teams to pair a PG with a PF/C. 5 teams did so on Yahoo. Team 12 (Griffin/Aldridge), Team 11 (Love/Ibaka) and Team 2 (Davis/Drummond) start with 2 bigs, compared to just Team 3 (Davis/Noah) in Yahoo's Mock. Team 9 (Wall/Irving) and Team 3 (Curry/Rose) started with PG/PG. It is important to note that ESPN does not list players with multiple position eligibility. Team 1 paired up LeBron with Kobe and adds Lawson, leaving him without a PF/C. Only Team 3 (Curry/Rose/Batum) Team 7 (Melo/Leonard/Ellis) and Team 9 (Wall/Irving/Thompson) finished the 3rd round without a PF/C. Yahoo saw 3 teams end the 3rd without a PG, ESPN has 4 teams without one. Team 10 paired up Kings teammates Cousins and Gay. Team 6 (Durant/Bosh/Milsap/Parker) drafted Jabari Parker as the 1st rookie and WAY to early for my liking. Parker was also the top rookie in the Yahoo Mock, but in the middle of the 5th round. Nerlens Noel was drafted at the end of the 4th in Yahoo, but falls to the back end of the 6th round here, a more fitting value. Team 1 paired up Nuggets teammates Lawson and Faried. Team 12 paired up Clippers Griffin and Jordan. If the 5th round has arrived, and you do not have a PG on your roster, don't do what Team 6 did and skip over Rajon Rondo, Michael Carter-Williams, Tony Parker or Jrue Holiday. Bradley Beal's injury has done little to hurt his value, and sits towards the back end of the 5th round. Pau Gasol goes in the 6th round in both Mocks, and I really like his value this season as a member of the Bulls. Don't be afraid to grab him at the end of the 5th if he can help your team! Team 8 paired up Hornets teammates Jefferson and Stephenson. Team 5 drafted Ariza with Harden on the roster. K.J. McDaniels in the middle of the 8th round is an odd pick as he wasn't even drafted in 12 Yahoo rounds. Another interesting thing, his ESPN profile page has him listed as a SG, but ESPN Fantasy lists him as a SF. Team 6 finally grabbed their PG in Reggie Jackson. Beverley, Chalmers, Burke and Smart were he is only other options. Jared Sullinger is healthy and ready to be an important fantasy basketball player. Keep an eye on him during your drafts! 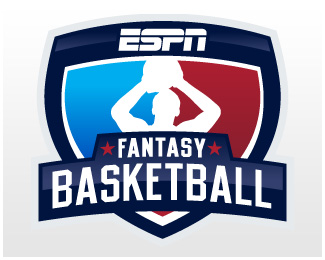 Gorgui Dieng help propel me to a Fantasy Basketball Championship last season, so i will be looking to draft him in the late rounds. Odds are JaVale McGee will not stay healthy (currently is not) and J.J. Hickson is also out. Why are we not drafting Timofey Mozgov? Which team would you like to walk away from your draft with?